Take a look at our red Pleated blinds and you’ll discover designs that will always be considered must-haves. 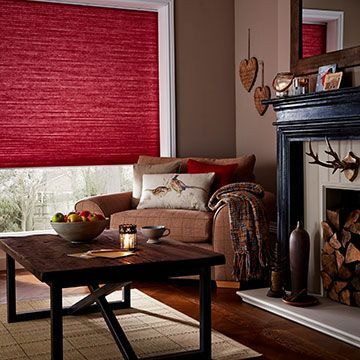 You’ll find red Pleated blinds in rich tones and subtle shades: chilli, crimson, plum, rose, candy and more. And take your pick of the striped, plain, patterned and floral styles. 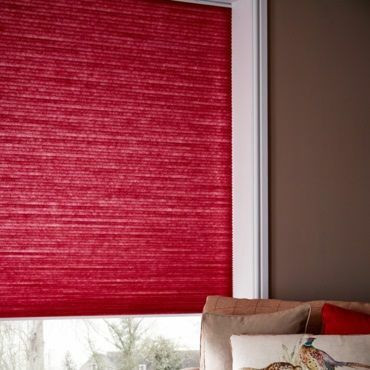 As well as being gorgeous, red Pleated blinds benefit from a smart design. When lowered, they offer superb control over light and privacy; when raised, they tuck away tidily and allow for a clear view through the window. Red Pleated blinds also offer a number of different design options. 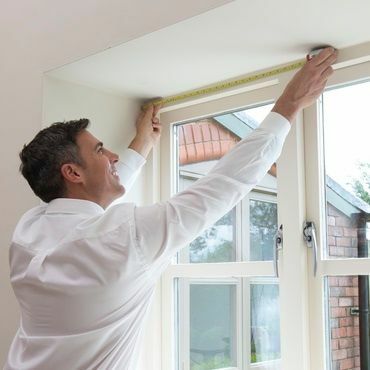 You can choose a cord or tab operated system; and you can pick PerfectFit frames, TransitionTM Day and Night blinds, and TriliteTMTop Down, Bottom Up blinds. Book an in-home appointment with Hillarys and an expert advisor will help you choose the perfect Pleated blinds. An advisor will bring our whole range to you, so you can touch all our red Pleated blinds and see how the different fabrics work with your interior. What’s more, your advisor will measure up and give you a no-obligation quote to consider.